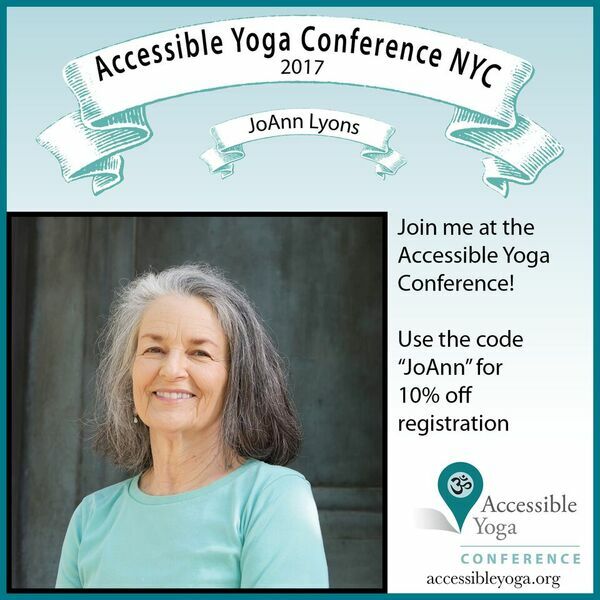 JoAnn Lyons and many other teachers will be in New York City from May 19-21 for a conference on Accessible Yoga. If you want to go register for this conference, you can use this code "JoAnn" to get a 10% discount. For more information please click here. To see the full article on the glass half full website click here. Yoga enthusiasts link the practice to a long list of health benefits, including greater flexibility and range of motion, stronger muscles, better posture and balance, reduced emotional and physical stress, and increased self-awareness and self-esteem. Click here to continue reading.